← Work, Art, and Deindustrialization in Rijeka. An Interview with Althea Thauberger. What lies beneath Die Linke’s silence over Syriza? 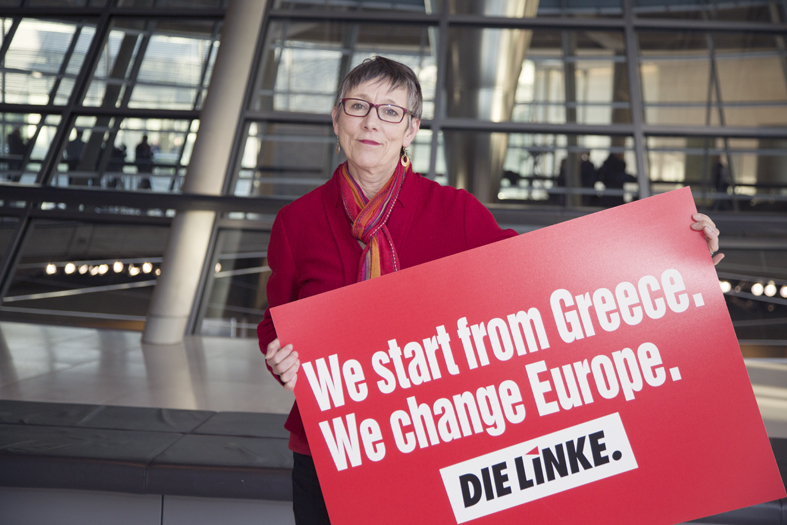 Despite its continuous vocal advocacy for radical changes in the EU economic and financial policies, Die Linke has remained to a large extent passive regarding the Greek government and its initial actions, relying predominantly on open declarations of support. The formation of a Syriza-led government in Greece presents an important milestone for the efforts of the European left to abolish the current EU austerity policies. The latest steps in this direction were offered at the negotiations with the Eurogroup. In this respect, representatives of four leading European radical left parties issued a call for joint action in support for Greece under the banner of solidarity. Among these parties was Die Linke from Germany. Despite its continuous vocal advocacy for radical changes in the EU economic and financial policies, the party remained to a large extent passive regarding the Greek government and its initial actions, relying predominantly on open declarations of support. Furthermore its declared strategy in the aftermath of the negotiations with the Eurogroup seemed rather inadequate, as it offered more-of-the-same approach of ‘further political pressure against the blackmailing austerity policies’. This article establishes the main sources for this hesitance, thus pointing out important areas, which need improvement, in order to achieve the desired left unity of solidarity. The role of Die Linke within the European radical left community, and therefore for the successful completion of the anti-austerity efforts, is twofold. Firstly, it remains one of the fundamental political organizations of the European radical left. Aside from its participation on all political levels, Die Linke has developed a vast network of affiliated organizations, through which it extends its influence. This has recently gone beyond Germany, as, for example, the Rosa Luxemburg Stiftung Foundation to which it is affiliated, contributes to the consolidation of radical left networks in other countries and their increased impact on the respective political life. An example for such contribution is the increasing support for organizations from Central and Eastern Europe, which has its first noticeable results. The RLS-affiliated Initiative for Democratic Socialism became an essential part of the parliamentary represented United Left in Slovenia. Secondly, Die Linke is an important part of the radical left community as one of the most recognizable organizations, active at one of the European centres of neoliberalism – Germany. Currently, the party has the role of the biggest opposition of the Grand coalition in the Bundestag. Through this Die Linke serves as the most immediate source of radical left criticism on the leading neoliberal government in Europe. Despite its influential and strategic positioning among the European radical left community, the party took rather indecisive stances on the recent Syriza-related developments. One should distinguish between four main positions, coming from Die Linke. Firstly, the party has openly positive attitudes towards its Greek Schwesterpartei (‘sister-party’), maintained through constant communication and solidarity acts. Secondly, the formation of a coalition government with the right-wing ANEL initiated an internal debate not only within Die Linke (immediately highlighted by the liberal conservative Spiegel), but also among the German left-wing community. These debates to a large extent explain why Die Linke has not issued a clear position on the matter, although its leading party personnel already expressed separately their evaluation of the coalition as the necessary evil. Thirdly, the ongoing negotiations between the Greek government and the Eurogroup were a source of further criticism on the governing Grand coalition, while the outcomes prompted cautious optimism among Die Linke, acknowledging that Syriza won ‘breathing space’ for the long-term battle against austerity. In sum, those positions reveal a rather cautious, observing approach, which already drew criticism even from the party-affiliated daily Neues Deutschland. While being accused in employing more-of-the-same tactic of Zuschauersolidarität (‘observing solidarity’), the party justified its actions as responsible realpolitik in contrast to ‘left-wing daydreaming’ (interview in Junge Welt). There are, among others, two important reasons, which enhance this controversial behaviour of Die Linke. Firstly, the party developed a rather questionable narrative on the ongoing developments around the Syriza-led government, which does not allow for appropriate cooperation with independent left-wing organization on equal terms. Reading the official statements from January and February 2015, issued by the parliamentary groups of Die Linke at the Bundestag and the European Parliament, as well as its national party statements from the same period, it seems that the predominant line regarding Greece was subordinated to constant attacks on the Merkel government. This is mainly apparent in the open equalization between the current EU policies of austerity and statements referring to Merkel’s government as a form of German dictate on the EU. Thus, instead of extending the common European context of the issues with austerity to Germany, Die Linke rather preferred to employ a continuation of German politics on European level. This approach, despite its relevant pressure function, reduces the importance of the largely worsened situation in other European countries, as it locates the ongoing austerity policies to originate from one particular source. Furthermore, such a Germanocentric perspective undermines the efforts of radical left organizations in other European countries to solve the common European austerity issues. In this context, the calls of Die Linke representatives, that Syriza should avoid using the principle leftist opposition to austerity in order to cut its debt, seems as exactly such form of dictate, which the party itself criticizes. The continuation of this approach seems not only to isolate the party from its European partners, but also it would yield little support on home territory. The latter is enhanced by the ongoing processes within the unaffiliated left scene in Germany, particularly concerning the ongoing debates around the transformation of the Antifa movement, which is the second source of the indecisive behavior demonstrated by Die Linke. This process generally weakened the resistance against the far-right, thus leaving Die Linke without a sound partner for joint actions. In the context of the rise of the xenophobic Pegida movement and the electoral surge of the neoliberal nationalist Alternative for Germany (AfD), this is bad news for the progressive forces in the country. In this respect the support, albeit a halfhearted one, for the coalition between Syriza and the right-wing ANEL undermines the image of Die Linke, as critics make constant references that in Germany such a coalition could emerge between Die Linke and AfD. The recent reports of intended contacts between Die Linke and Pegida as part of the party efforts to attract some of the disillusioned, but yet not necessarily nationalist participants on the current Monday marches, distorts further the possibility of collaboration with independent German left-wing organizations. Adding the internal party quarrels around the need and appropriateness for a red-red-coalition with SPD and Bündnis 90/Die Grünen on national level, two parties that to a different degree were instrumental for the establishment of neoliberalism in Germany, the party itself seems unconsolidated and undecided to act against external challenges. It seems that Die Linke acknowledges these existing issues, as it introduced this year the idea to present itself as the verbindende Partei (‘relating party’), which suggest the intention to change its approach in its relations with the German left. In the context of the developments around the current Greek government, the solidarity of the party to the independently-organized Blockupy on 18 March in Frankfurt is a step in the right direction in the efforts to regroup the German left. Or rather it is a baby step, as even high representatives from Syriza doubt the effects of this one-time event for their cause. Thus, Die Linke needs a more proactive solution for their problems, and one which goes beyond their comfort zone. In this respect, the position by Tom Strohschneider that the upcoming four months should be used by Die Linke to undermine as far as possible the stance of the German government for the upcoming round of negotiations in the Eurogroup, seems inadequate. Opposition actions in this respect, such as the upcoming Blockupy protest, seem not sufficient considering the importance of the situation They have already served their function during the times of non-existent radical left representation in the EU area. ‘Die Linke should understand the rise in Southern Europe as a chance to change itself’ explains Moritz Warnke, which summarizes the new task for the party. Overall, Die Linke remains an important part of the European radical left and as such it is one of the first, which reacts to the new challenges, presented by the formation of the first recent anti-austerity radical left government. The initial passivity and indecisiveness, prompted by internal problems and restrictive approaches, can be overcome by going beyond the current comfort zone of solidarity actions with little practical result. The idea of the ‘relating party’ presents the first steps in this new direction, but there is definitely a long road to travel. In doing so, however, Die Linke should not forget to actively support the source of this change – the success of the Syriza-led Greek government. The upcoming four months could reveal to what extent the party responds to this challenge. 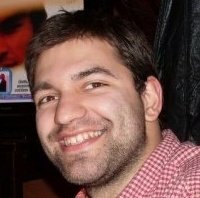 Petar Bankov is currently an PhD student at the University of Glasgow. His thesis focuses on the sources of electoral performance of European radical left parties on sub-national level.